Your tax-deductible donation to Key Community Housing can support us in developing our programs to reach out to more than developmentally disabled individuals in Southern California. These adults are on lengthy housing waiting lists and your support will allow us to develop future housing properties to best serve them. We’ll send you an acknowledgment of your donation, and our heartfelt appreciation! Honor Someone Special Through Your Donation! Make a birthday, wedding, holiday, graduation or other occasion special for a loved one as well as someone in need with a tax-deductible tribute gift to Key Community Housing. Just provide us with the name and address of the person you’d like to honor and the event he or she is celebrating when you send in your contribution. We will write a thank you for the donation and send the special person a card advising them of your gift in marking their special occasion. Your tax-deductible contribution in memory of a loved one is also a meaningful way to honor someone you appreciate. Support Simply By Doing Things You Do Regularly! 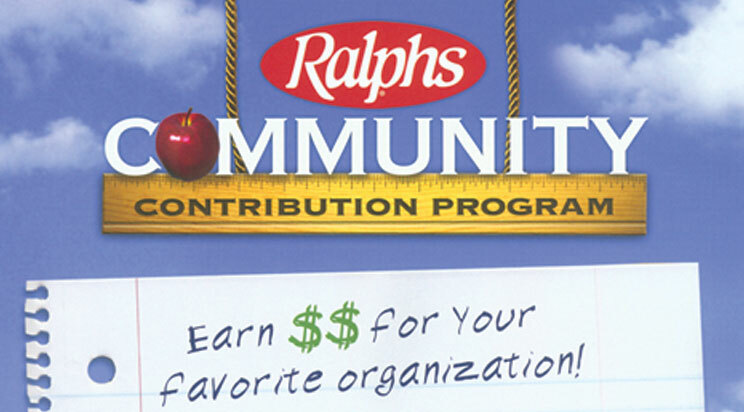 If you shop at Ralphs supermarket, your Ralphs Rewards Card/phone number can be directly linked to their Community Contribution Program which provides a 1-2% donation of your purchases back to Key Community Housing. You don’t have to do anything but make sure your Rewards card is linked to support Key Community Housing. Just click on the link below and be sure to use NPO code #90207. Key Community Housing thanks you for your support ensuring affordable housing is made possible to adults with developmental disabilities.